Animals, colors, numbers, seasons and places—what lovely walks! 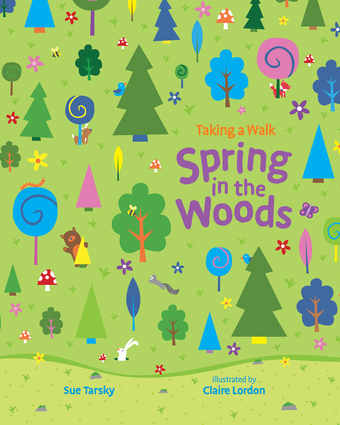 Join the fun of finding and counting all the animals, flowers, and insects, as more and more appear on a lively walk through the woods during the springtime. Packed with repetition that young children love and that also helps them learn, this is an entertaining introduction to colors, numbers, and the seasons.